This is North Fork Big Creek Falls. It is upstream from the previous waterfall. The path near the right side of the photo is the Sheltowee Trace National Recreation Trail. The dark spots in and near the trail are where water was dripping on this rainy day. 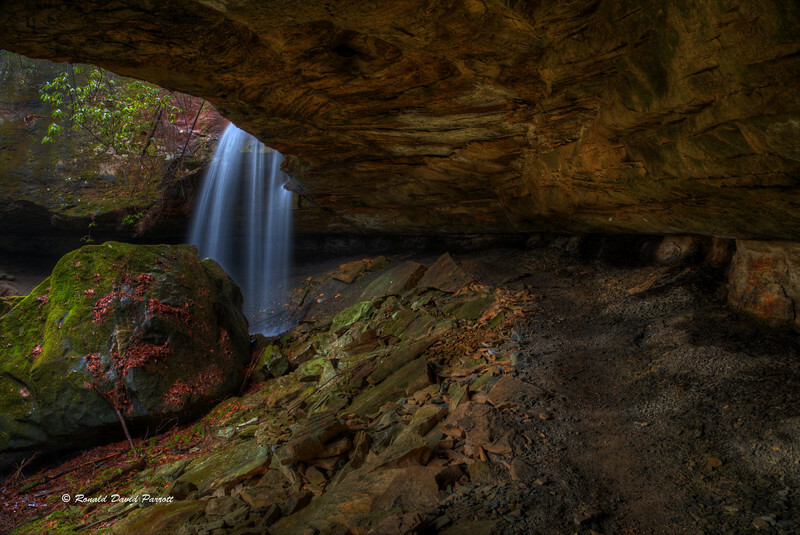 However, I easily found a dry spot under the rock shelter where I setup my tripod without leaving the trail. That was much easier than the off trail treks I often make to reach waterfalls. The designers of this excellent trail overachieved when they routed this section of the trail behind such a beautiful waterfall.